The Rockford Chamber of Commerce is committed to providing money savings discounts and other Value Added Benefits to our members. Through our association with NOACC (Northern Ohio Area Chambers of Commerce), businesses with current Chamber memberships can take advantage of the many benefits listed below, at no additional expense. 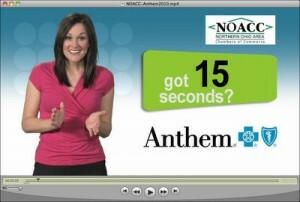 These special discounts can improve your bottom line, saving you both time and money. Even with all the Health Care Reform changes you can still get a discount through Rockford Ohio Chamber of Commerce by being a member. Download the flyer below to learn of the benefits. Feel free to reach out to us with questions. Discounts on receivables management and collection services with AmerAssist AR Solutions Inc.
Save on all FedEx® shipping - express, ground, inbound and outbound! The Rockford Chamber of Commerce is a member of the Northern Ohio Area Chambers of Commerce. 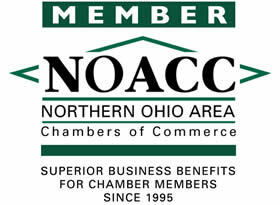 NOACC has over 35,000 Chamber of Commerce members in over 120 Chambers across northern Ohio.